In the last update (Nov 2012), I had good news that casting #23 is a candidate for machining, and casting #24 may also be a candidate. Casting #24 was poured in the earlier part of Nov 2012, and for a variety of reasons (weather, holidays, sickness, etc. ); I did not take possession of casting #24 until Jan. 25, 2013. 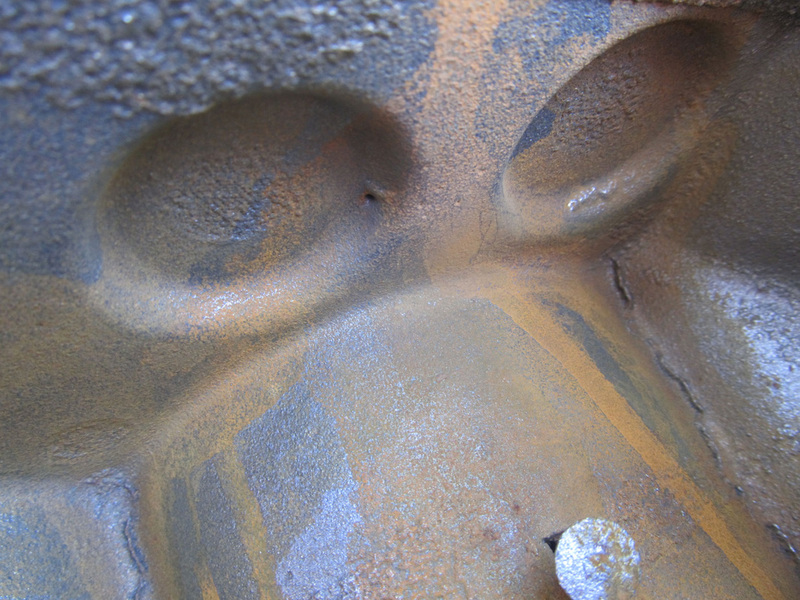 Upon close inspection, casting #24 looked great with the exception that the timing gear cavity core was out of position which resulted in wall break-thru. My guess is that the core assembly and drag bumped each other during mold assembly. The first 5 attachments show casting #24 as received from the foundry. 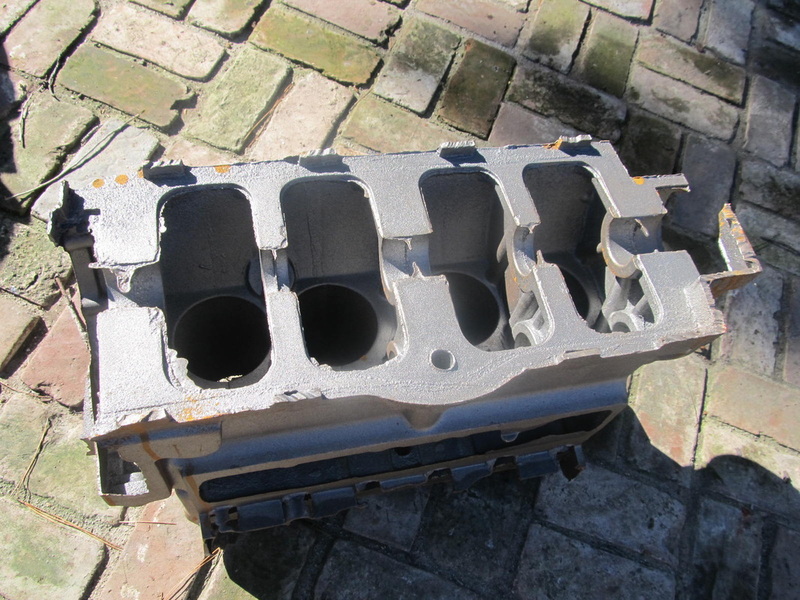 Casting #24 was then prepared for pressure testing by smoothing out the upper surface of the cylinder block a shown in attachment 6. When the water jacket was filled with water, casting #24 began to leak at the rate of I drop every 3 seconds from a small porosity pinhole in the upper wall of the valve chamber. 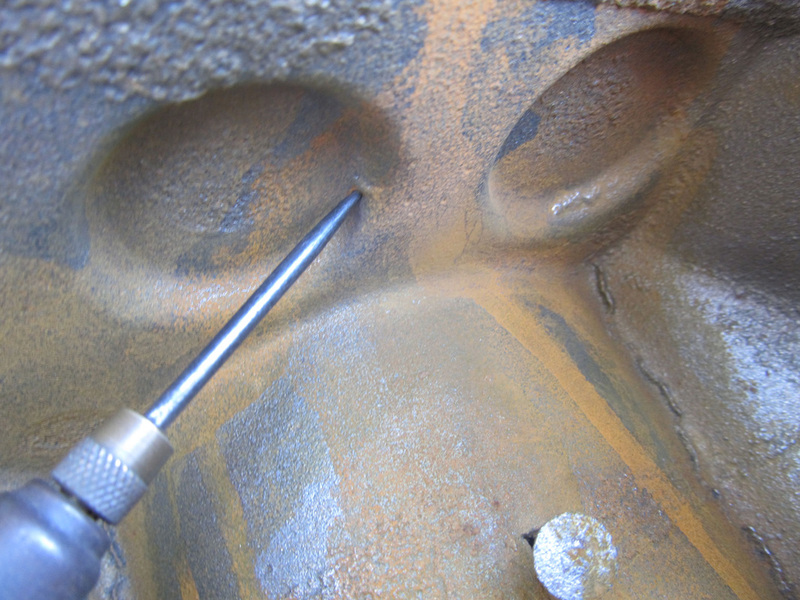 Once the pinhole leak was found no additional effort was made to pressure test. Attachments 7 and 8 show the pinhole. (live in Lodi for a few days) to help with the assembly of cores and the mold. 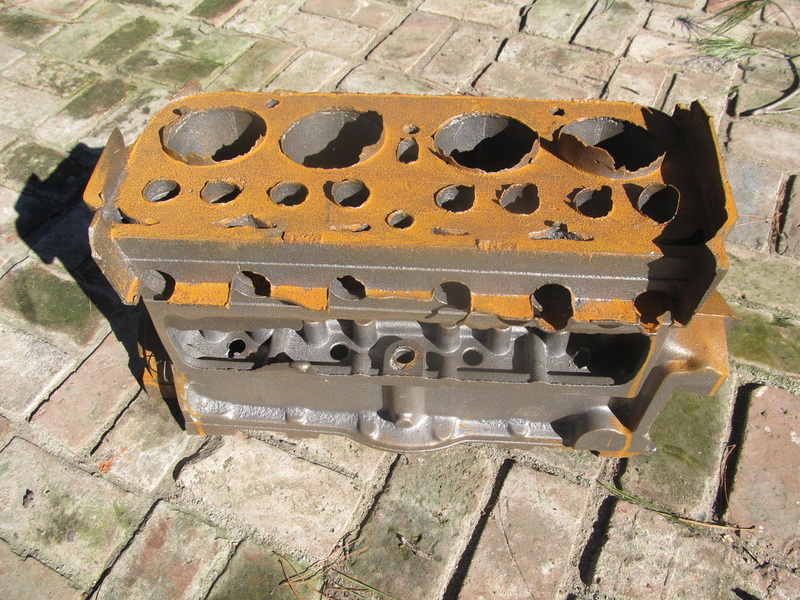 It needs to be noted that casting #23 had 3 porosity leaks, and that 2 of them stopped leaking (by rusting closed) during the 2 months that it sat in the H frame press. 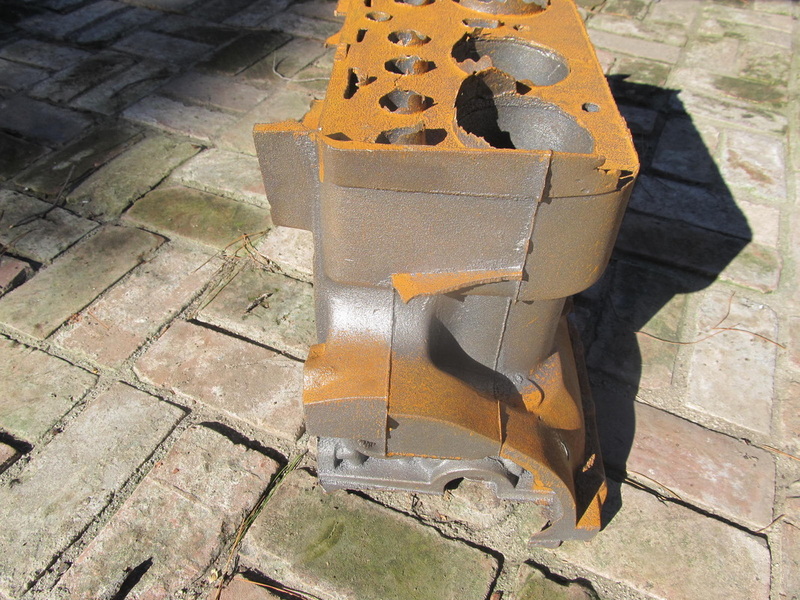 To put things in perspective, the water jacket of casting #23 was filled for pressure testing, and 2 months later, the water level dropped about ¾ inch. 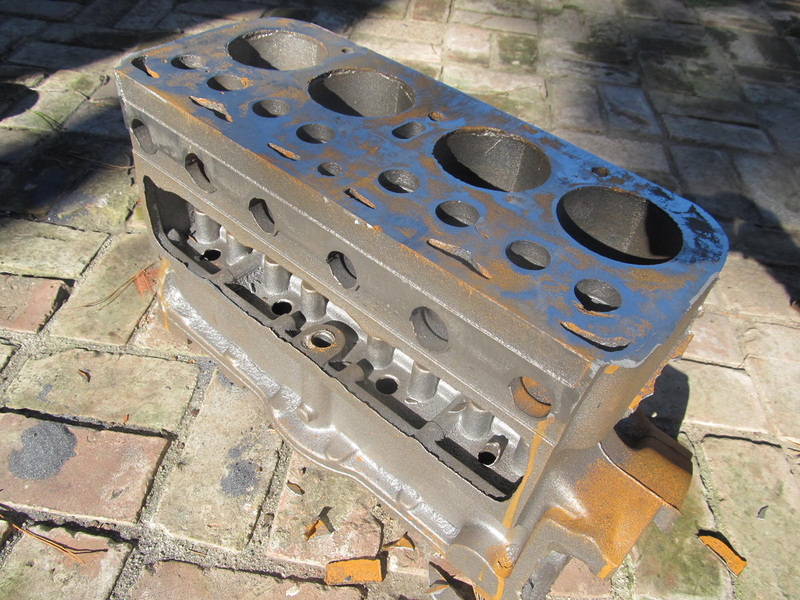 The next step will be to have cylinder block castings machined. I am patiently waiting for Lodi Iron Works to produce several good castings in a row before I commit to having the SolidWorks machined model converted to machine language for a Mazak with pallets or equivalent. 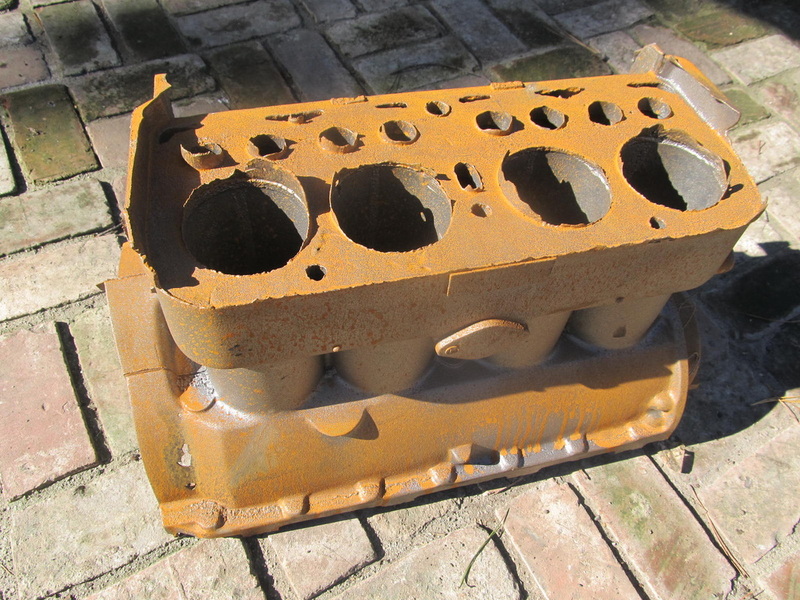 used for similar parts in modern engines. This material is also used for suspension parts, gears, and highly stressed parts in new cars. The next update will be when something good happens or 2 months.